soloists: Jeremy Kleeman (bass baritone) and Timothy Reynolds (tenor). The Latrobe Chorale and The West Gippsland Chorale will join with the Heidelberg Choral Society and Orchestra to present this exciting concert to be conducted by Peter Bandy. Sung in an entirely invented language, Jenkins’ major new work, Symphonic Adiemus is an iconic piece for choir, orchestra and unusual percussions with influences from world music. Puccini's Messa di Gloria is an early work with the Latin Mass as its libretto and some truly operatic melodies for choir, soloists and orchestra. This is a concert not to be missed. 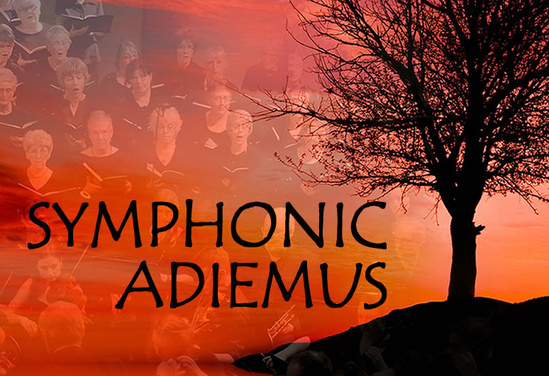 Immerse yourself in the exuberance of Symphonic Adiemus composed by Sir Karl Jenkins, and the joy of Puccini’s Messa di Gloria; performed with full orchestra and 150 voices at the newly re-furbished West Gippsland Arts Centre. One performance only... Tickets selling fast!